Welcome to Serial Killer Q&A, a new irregular feature exclusive to Total Batshit. Yeah, that’s right – exclusive. That’s marketing gold, that is. While multiple murderers are unfortunately very real, many of the beliefs around them are not. Each instalment of Serial Killer Q&A will focus on a different individual and address some of the questions relating to their crimes, as well as popular perceptions of serial murder. This could make Q&A posts a tad darker than the usual Batshit fare, but I’d encourage you to give them a shot even if you’re not a true crime fan. I promise this stuff is interesting! 1. Who is David Berkowitz? Is that all you needed to know? Between July 1976 and August 1977, David Berkowitz terrorised New York City as the Son of Sam (formerly the .44 Caliber Killer). He shot 13 people, killing 6 and seriously wounding 7, and appeared to target young women with long dark hair. Berkowitz wrote bizarre letters to police and journalists, which claimed “Papa Sam” demanded the killings in order to quench his thirst for blood. The NYPD originally considered Berkowitz a witness, but when they contacted Yonkers police for assistance in tracking him down, the local PD informed them that the contents of one of the Son of Sam letters made them suspect Berkowitz was the killer. At the time of his arrest, Berkowitz confessed to all of the crimes. He explained that the “Sam” in his letters was his former neighbour, Sam Carr, whose demonically possessed labrador ordered him to kill. 2. 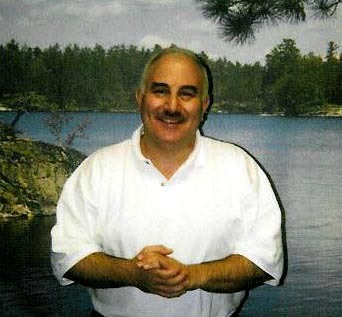 Is David Berkowitz a psychopath? I’m not a psychiatrist and I’ve never met David Berkowitz, so I’m not even slightly qualified to give a diagnosis. But since this is my blog (and since I spend an unhealthy amount of time reading about these things), I will give you my personal, uneducated opinion, which is that Berkowitz sounds more psychotic than psychopathic. What’s the difference? “Psychotic” is a sort of umbrella term that describes symptoms and conditions that cause people to loss touch with reality (or at least alter their perception of it). Psychotic symptoms include delusions and hallucinations (both visual and auditory), and an example of a psychotic condition is schizophrenia. People with psychotic conditions are rarely violent (and, in fact, are more likely to be victims of violence than commit it), but a person suffering psychosis may become violent if they are scared and misinterpret what they’re experiencing. This is more likely to occur if the person is not receiving treatment or has exasperated their condition with drugs or alcohol. Psychopathy, on the other hand, is a behavioural disorder in which individuals display superficial charm, high intelligence, manipulative and impulsive behaviour, pathological lying and egocentricity, incapacity to love, lack of remorse or shame, etcetera. They are not intrinsically violent, but are selfish and lacking in empathy, which makes it easy for them to pursue their own desires at the expense of other people. It’s estimated that 1% of the population are psychopaths, and those that don’t end up in jail often become successful CEOs, lawyers* and neuroscientists. And Wall Street douchebags (source: http://videovortex.wordpress.com/2013/03/01/all-time-classics-american-psycho-2000/). 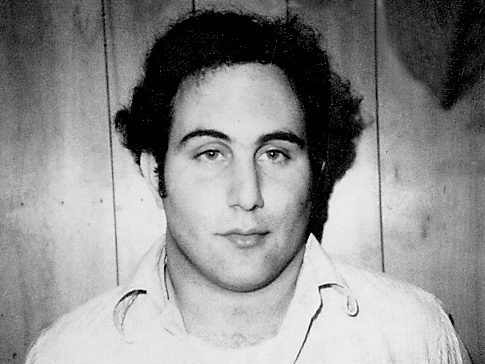 In 1977 David Berkowitz was not someone who was described as charismatic or likeable; he was an odd loner whose confusion of fantasy and reality made people uncomfortable. He moved house in attempt to escape from “howling demons”, and sent threatening letters to neighbours Sam Carr (“I can see that there will be no peace in my life, or my family’s life, until I end yours…”) and Craig Glassman (“True, I am the killer, but Craig, the killings are at your command…”), whom he claimed were part of a Satanic group that persecuted him. He shot dogs that he believed were speaking to him, scrawled Satanic graffiti all over the walls of his apartment, and kept notebooks documenting hundreds of fires he had lit around New York City. That’s the behaviour of a psychotic, not a psychopath. 3. Were the Son of Sam murders part of a Satanic conspiracy? Sorry, did you just skip over the previous two sections about rambling letters and talking dogs? OK, fine, let’s have a look at this “theory”. 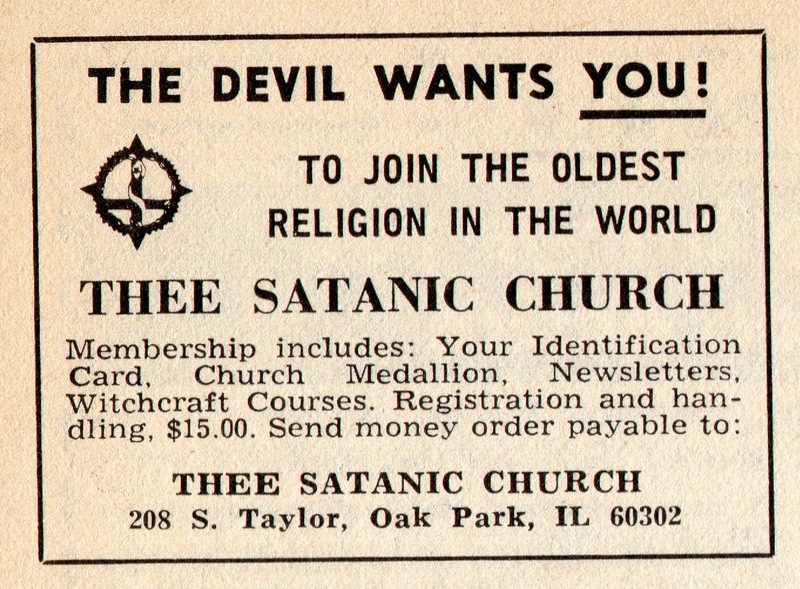 While Berkowitz had long demonstrated a preoccupation with the occult, the Satanic cult conspiracy theory only picked up steam in the early ’90s with the great Satanic Panic. After becoming a born-again Christian in 1987, Berkowitz made the claim that he had joined a Satanic Cult in 1975. In 1993 he told the press that the Son of Sam murders were ritual slayings intended to instigate war and chaos, and that he personally had only killed three people. Several cultists were involved in each attack – they assisted with planning, surveillance of victims, and acted as lookouts and drivers. Berkowitz was only willing to name two of his (supposed) co-conspirators: John and Michael Carr, the long-dead sons of Sam Carr. In 1975 fifteen bucks was quite a commitment! I would have just played some D&D. At the time of the attacks, some individuals close to the case expressed the belief that Berkowitz had not acted alone. This and Berkowitz’s claims resulted in the reopening of the Son of Sam case in 1996; however, it was eventually suspended due to lack of findings. From my advanced Google-fu, it appears the only evidence to support the conspiracy theory are the varying witness descriptions of the shooter (specifically his hair) and the supposedly Satanic suicide of John Carr. The former can be explained by taking a closer look at the descriptions; following one attack two separate witnesses said the shooter looked like he was wearing a cheap blond wig, and if we disregard hair colour the majority of descriptions across all of the crimes match Berkowitz. The latter seems to be an odd, but not unbelievable, coincidence. Personally, I’m inclined to agree with former Chief of Detectives Joseph Borrelli, who said, “The best proof I have that he acted alone: Has there been a homicide of a similar nature since?” If a cult was determined to start a war through human sacrifice, wouldn’t they continue to kill using one of the other shooters? I also think it’s telling that Berkowitz’s testimony changed after his conversion to evangelical Christianity. Obsession with religion, religious delusions, delusions of grandeur (particularly the belief that you have a special purpose or mission) – all are common signs of schizophrenia, and I believe all are present in both Berkowitz’s original testimony and his current statements. Berkowitz has just changed focus from Satan to Christ. 4. Why did Son of Sam attack women? Berkowitz targeted young brunette women, usually in pairs and sometimes with their boyfriends, but his changing testimony makes it difficult to determine why. In 1979 Berkowitz said his original claims of demonic possession were a hoax and that he targeted women to punish them for rejecting him both romantically and maternally (as in the case of his biological mother, who gave him up for adoption to preserve a relationship with a married man). When Berkowitz returned to more Satanic explanations in the late ’80s, he claimed the “sacrifices” were chosen because they were young and middle-class – perfect symbols of the American future his cult was trying to destroy. We may never be able to understand Berkowitz’s personal motivation, but the statistics of serial murder victims as a whole reveal some disturbing patterns. 70% of victims are women, and victims of both genders are often chosen from marginalised and/or vulnerable groups: prostitutes, runaways, migrant workers, hospital patients, children, and the LGBTIQ community. Selecting victims who are either estranged from family and friends (and who are less likely to be reported as missing), or who are widely discriminated against (and whose deaths rarely result in major media coverage or public outcry) not only has practical advantages in evading capture, but helps the killer dehumanise their victims and rationalise their own actions. These people “won’t be missed” (Ted Bundy: Conversations With A Killer) or “deserve to be punished”. We could now easily move into questions of agency versus culture and nature versus nurture, but that’s a whoooole other post. However, it’s my opinion that serial killers, like art, do not exist in a vacuum, no matter how irrational their actions may seem. Existing in a vacuum isn’t good for anyone. 5. Where is David Berkowitz now? Berkowitz is currently incarcerated at Sullivan Correctional Facility in Fallsburg, New York. He writes blogs and articles for his evangelical website (which is maintained by volunteers, as Berkowitz is not allowed access to a computer) and works in the prison’s Special Needs Unit and church. Since 2002 Berkowitz has repeatedly requested that his parole hearings be cancelled, stating, “In all honesty, I believe that I deserve to be in prison for the rest of my life. I have, with God’s help, long ago come to terms with my situation and I have accepted my punishment.” He often expresses concern over the public’s interest in violent crime, and in 2005 he sued Hugo Harmatz, one of his former attorneys, for publishing a collection of his letters. Berkowitz demanded that Harmatz return his possessions and donate the money he made off them to the Son of Sam victims and their families. They settled out of court when Harmatz agreed to donate part of the book’s profits to the New York State Crime Victims Board. Are you a true crime buff? Leave a comment to suggest a subject for the next Serial Killer Q&A!